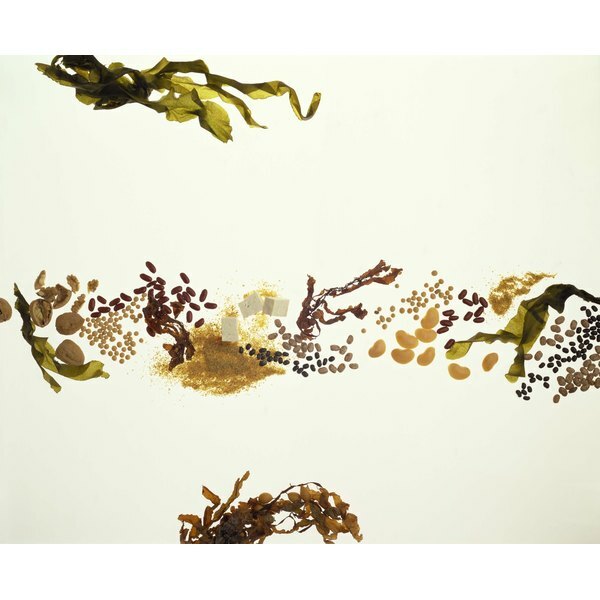 Limu moui is an elegant name for a brown seaweed found in the Tonga Islands, near Fiji. Harvested for centuries, it flourishes in cooler water temperatures. The extracts from this seaweed have been the subject of recent studies, with potentially beneficial results. Now available in juice form, you can find Limu online and in some health food stores. It is not regulated by the FDA. Talk to your doctor about this supplement before taking it. The main ingredient, and the compound behind most of Limu's health claims, is called fucoidan. If you read some of the product manufacturer's websites, fucoidan is a supposed "miracle" ingredient, making Limu moui a superfood. Fortunately, Western science has investigated some of these claims. There are some proven potential benefits; however, results are not guaranteed. More data needs to be collected before fucoidan can be considered a treatment or preventive supplement. A study released in "Pharmaceutical Biology" in April 2010 investigated the effects of fucoidan on blood lipid balance. Researchers, led by Dr. L. Huang, discovered that fucoidan lowered the total serum cholesterol, triglyceride, and low-density lipoprotein, or LDL, levels in rats. LDL cholesterol is considered "bad" cholesterol, and is the type of cholesterol that attaches to the sides of arteries, according to the University of Maryland Medical Center website. Fucoidan also increased the amount of high-density lipoproteins, or HDL, in the blood. HDL is considered "good" cholesterol, due to the fact that it helps to remove cholesterol from the bloodstream. More data is needed to strongly suggest fucoidan or Limu moui as an adjunct treatment for high cholesterol levels. Apoptosis is the technical term for cell death; a phenomenon that is a normal physiological process designed to keep your body healthy. For instance, abnormal cells will undergo apoptosis in a healthy system. Fucoidan has been found to produce apoptosis in certain cancer cell lines. "Molecular Carcinogenesis" released a study in August 2010 that investigated fucoidan's effectiveness against leukemia. Dr. J.O. Jin and colleagues found that fucoidan induced apoptosis of leukemic cancer cells. The Institute of Medical Sciences in Korea completed another study that showed fucoidan's ability to inhibit cancer cell growth. Published in the "Biological and Pharmaceutical Bulletin" in October 2009, fucoidan induced apoptosis in human colon cancer cells in vitro. Fucoidan may also show potential to help improve diabetic conditions. Diabetes can often lead to numbness and loss of blood flow to extremities, which can result in loss of toes or feet. Researchers at the Pennsylvania State University in the U.S. investigated fucoidan's role in blood vessel and capillary flow in diabetes. Published in "Microcirculation" in December 2004, diabetic rats treated with fucoidan showed restored healthy capillary blood flow and increased nitric oxide, NO, levels. The study states that capillary flow has been found to be dependent on NO levels; thus, fucoidan may increase blood flow through its ability to increase NO. Diabetes is complex, however; although fucoidan shows promise, it should not be used as a treatment for any type of diabetes. Extracts from brown algae may also have potential to fight the flu virus. In January of 2010, a Russian journal, "Voprosy Virusologii," published a study that looked at fucoidan's antiviral properties. Researchers discovered that not only did fucoidan prove to have virucidal, or the ability to kill, capacity against the avian flu virus, but it also protected cells from being infected. It was able to suppress the virus within 24 hours of infection. This study shows the promise of fucoidan, however the Limu juice should not be used as a cure for the flu. More studies are needed to determine the concentration of fucoidan needed to strongly affect flu viruses. Pharmaceutical Biology; Hypolipidemic effect of fucoidan from Laminaria japonica in hyperlipidemic rats; L Huang et al. Biological and Pharmaceutical Bulletin; Apoptosis inducing activity of fucoidan in HCT-15 colon carcinoma cells; JH Hyun et al. Molecular Carcinogenesis; The mechanism of fucoidan-induced apoptosis in leukemic cells: involvement of ERK1/2, JNK, glutathione, and nitric oxide; JO Jin et al. Microcirculation; Inhibition of leukocyte adherence enables venular control of capillary perfusion in streptozotocin-induced diabetic rats; K Nellore and NR Harris.